1 of 2 In a large bowl, mix together the beans, ham, cheese cubes, Miracle Whip, salsa, scallions and cilantro. Cover and refrigerate for 1 hour. 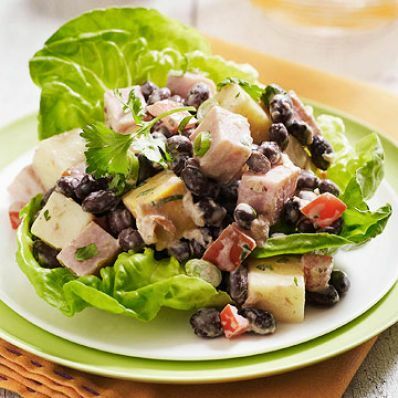 2 of 2 Arrange divided Bibb lettuce onto four plates, and spoon about 3/4 cup of bean and ham mixture onto each.